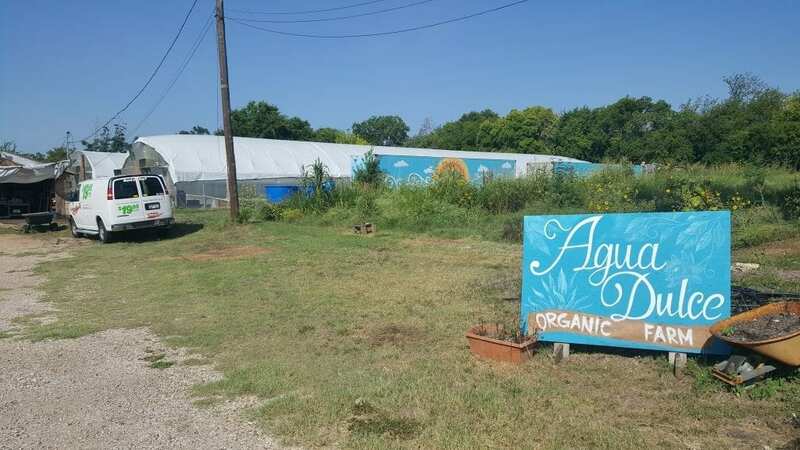 Below you can see the view of the farm from the entrance sign, including the painted fish tank cargo containers and the two main aquaponic greenhouses. I parked in the lot and walked up to the main building, hoping to run into someone because no one was in sight. 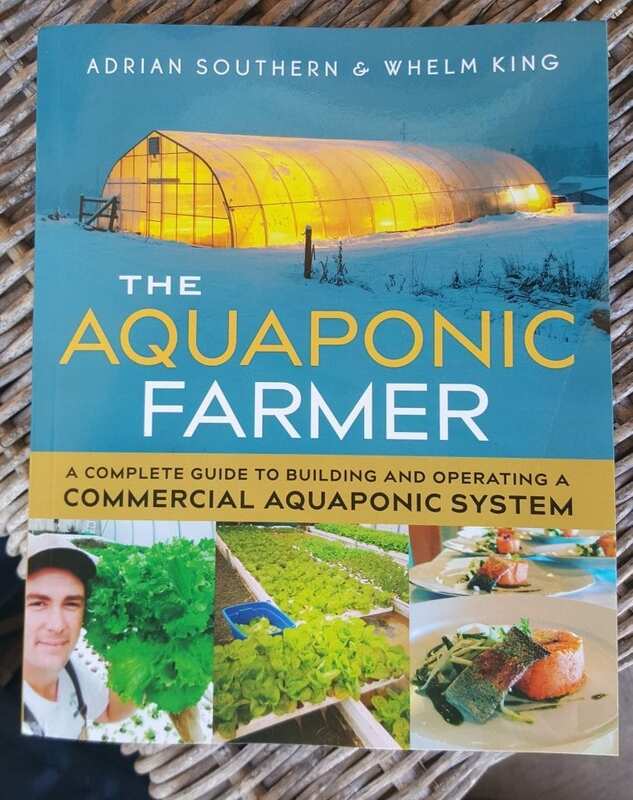 I approached the porch to knock on the door and saw this book on one of the porch chairs, so I figured if someone was reading this specific book, The Aquaponic Farmer, it was worth noting for my travels. 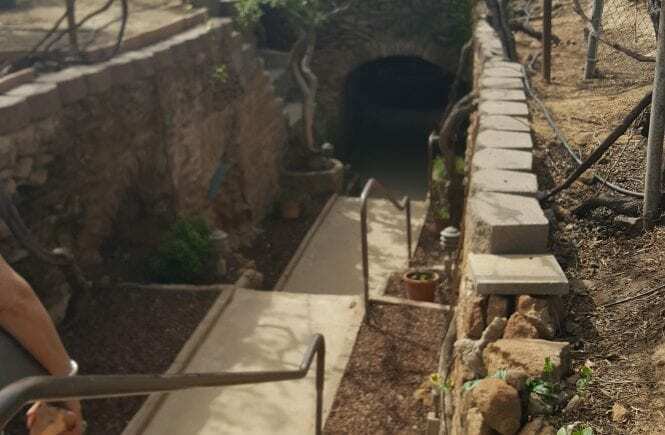 One of the managers came from the greenhouses toward the main offices, and I let him know I was in contact with someone from the farm and was there for a scheduled tour. He let me know that the owner was taking new workers through the greenhouses to go over technical training, so he got a volunteer-turned-employee, Amillio, to show me around the property. 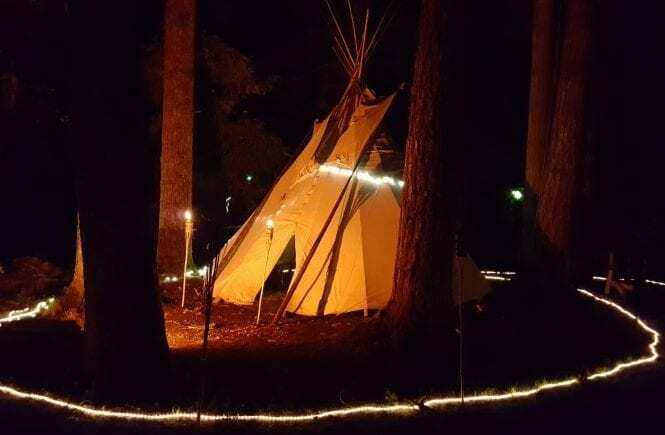 Amillio was a veteran who returned to the Austin area and got involved with Agua Dulce as a volunteer before they hired him on to work onsite, from what he told me. He also said this was the first tour he would have given, so ask questions whenever. We headed over to the painted fish tank cargo containers to start the tour. 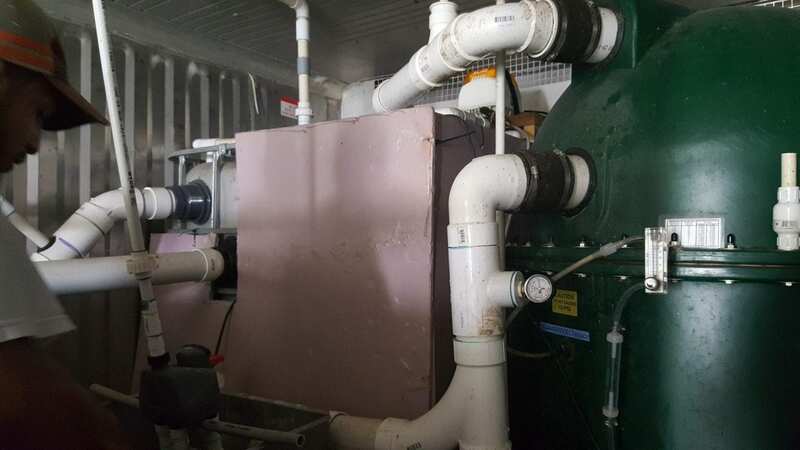 The first container had one large holding tank and an intricate pump system, while the second container featured several smaller tanks that he closely monitored in terms of feedings. 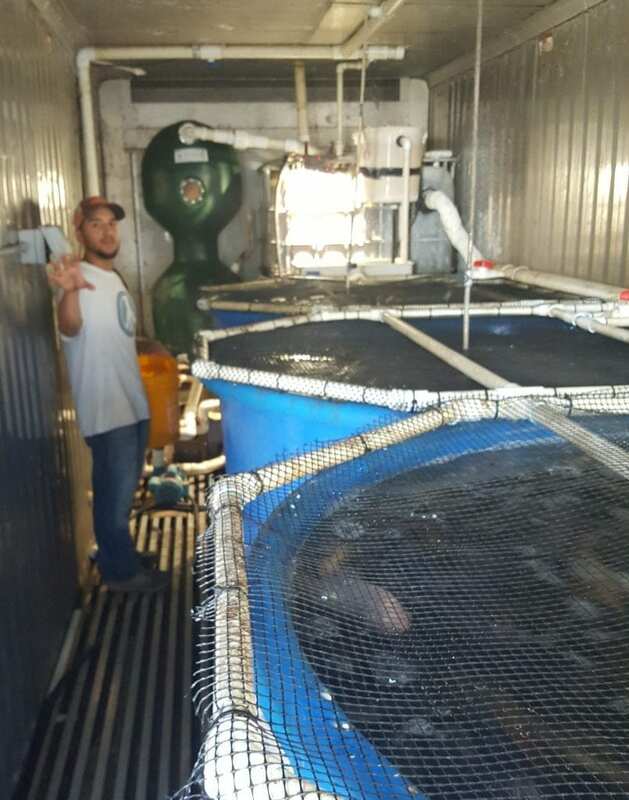 Here are some pictures of the second cargo container with the individual fish tanks. 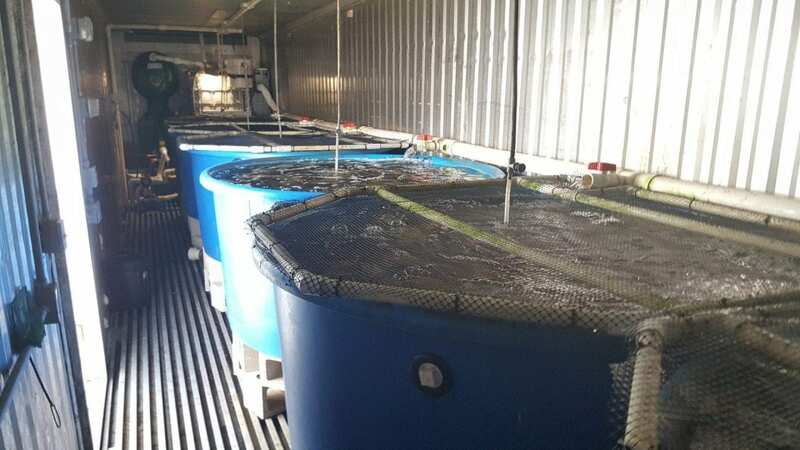 Amillio told me that Agua Dulce had previously sold the fish for profit, but they had to stop selling the fish because it caused too many variables when fish were removed from the system. 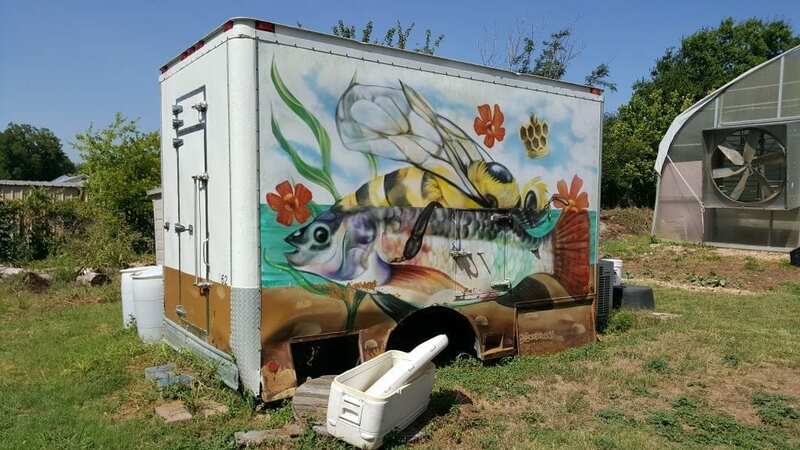 We left the fish tank shipping containers and headed over to the outdoor holding tank. 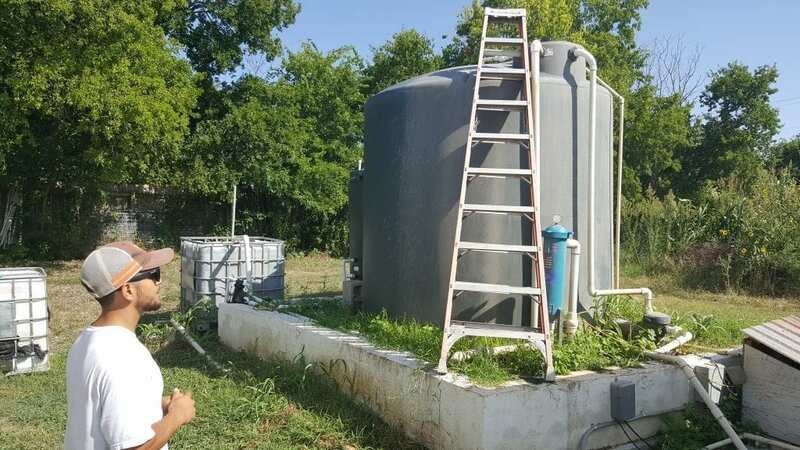 Amillio explained how the pump systems move the water from the fish tanks into the large outdoor water tank, which is then released into the two greenhouses when the water levels are low or the fish nutrients need to be added to the plants. 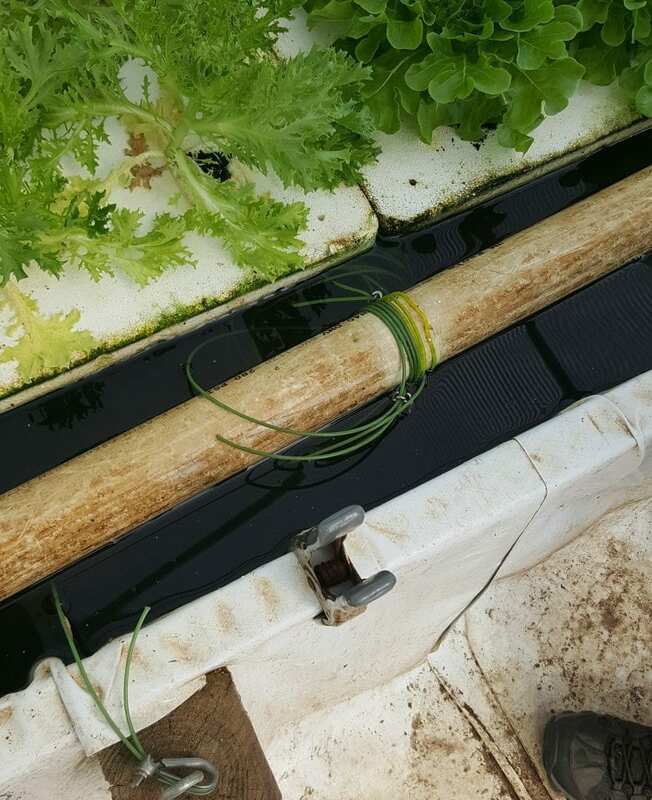 This cloudy view of the leafy green floating rafts was taking outside of the greenhouse plastic tarp, but it highlights how the greens are intermixed on the rafts for harvesting a variety of plants. 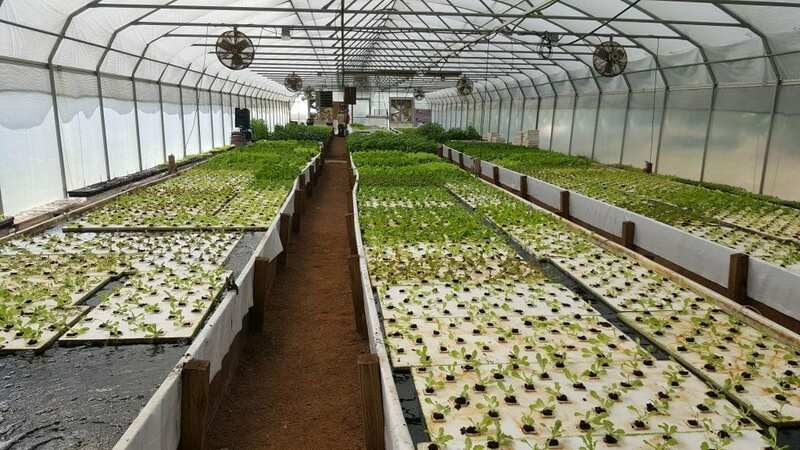 The operation within this green house works in a horseshoe shape, with the starts planted on the left side and are moved to the other end of the float beds then back again on the right side. 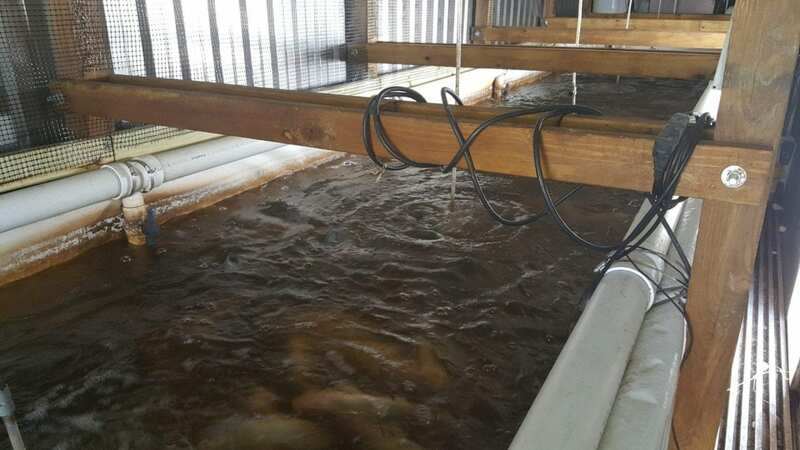 This allows the plant starts to mature on a ‘conveyor belt’ system and rafts are replaced or shifted at either ends to make the process easy without having to physically enter the bed for harvesting. The PVC pole with wire is the makeshift conveyor belt mechanism. When the PVC pipe is turned, the wire wraps around the pipe and pulls the rafts from the other end – shifting all of the rafts! In the second greenhouse, the setup is with long raised float beds that grow specialty greens and other types of herbs. 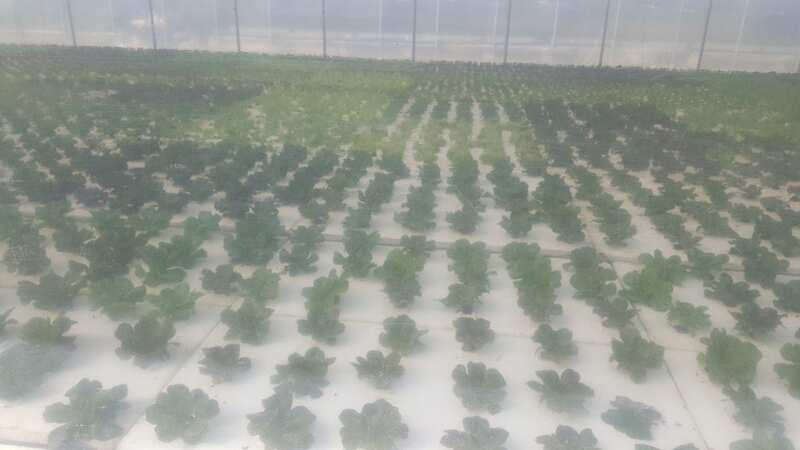 The walkways in between the beds allow employees to reach into the beds and harvest the plants when they are mature enough for market. Outside of the greenhouse is an old refrigerator trailer, which I believe is still used for cold storage. 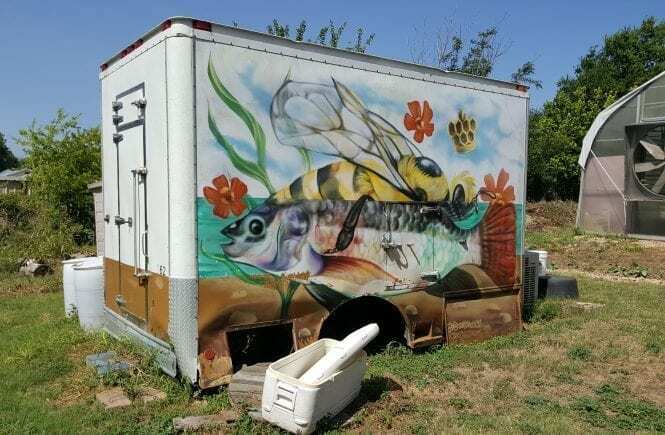 I really like the artistic mural of the fish and bee – both of which help plants grow and flourish! 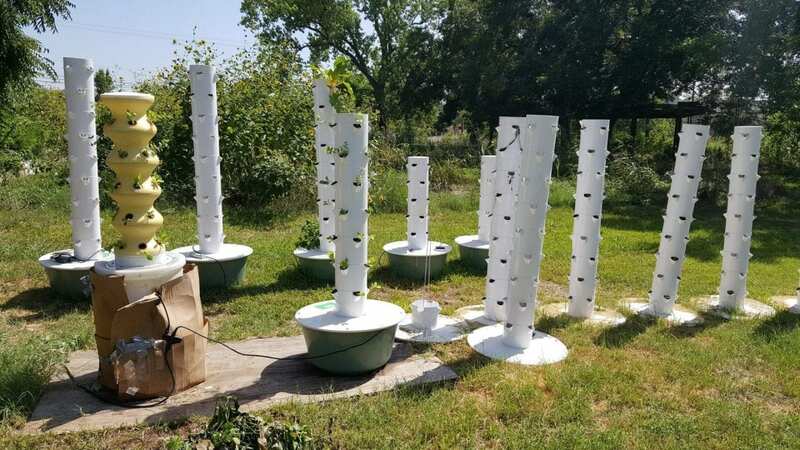 On the backside of the office are some vertical hydroponic towers that the farm is hoping to develop into an outdoor educational demonstration site in the near future! I really enjoyed seeing a large-scale aquaponics farm in action, and the technical production side of it and how differs from other aquaponic operations, like why they choose not to sell their fish anymore. 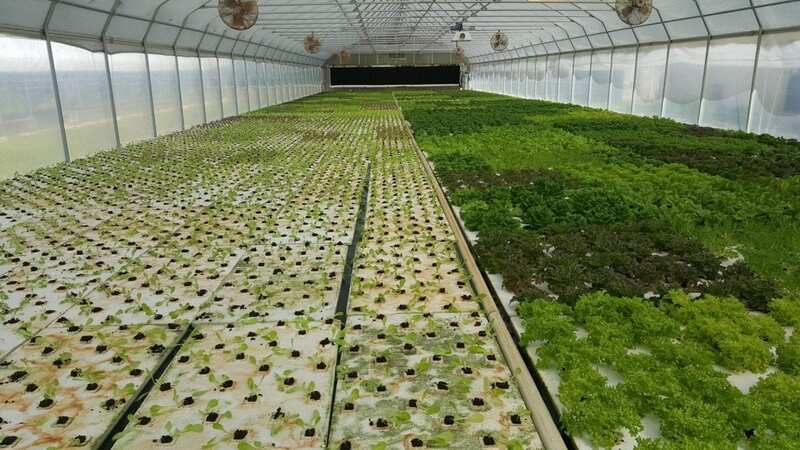 Being less than 5 miles from downtown Austin is also really advantageous to their business, especially with their media attention and overall production size being able to accommodate the fresh ‘farm-to-table’ movement with restaurants and local farmers’ markets. 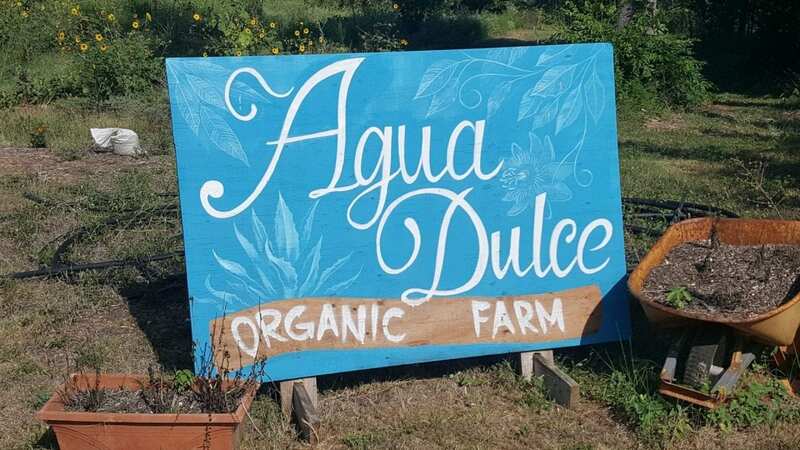 I definitely hope to see Agua Dulce in the future, and hopefully they will have their front garden beds reestablished and the educational demonstration site up and going to educate a new generation of farmers!